New 2nd Edition now available! One of the finest cruising grounds in the world, the Inside Passage is a boater’s paradise with hundreds of pristine islands, inlets and anchorages. 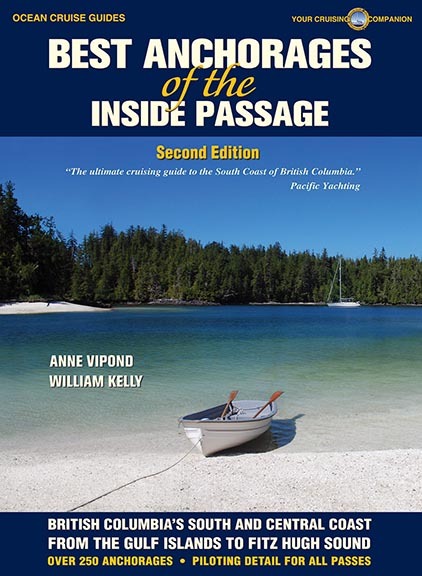 This new, expanded 2nd edition of Best Anchorages of the Inside Passage is a comprehensive selection of boating destinations on the South and Central Coast of British Columbia. 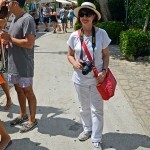 Some of these are well known, while many are secluded getaways. The 2nd edition of Best Anchorages of the Inside Passage covers cruising areas from Victoria to Bella Bella and has been expanded to include the Central Coast waters up to Fitz Hugh Sound, Rivers Inlet, Hakai Luxvbalis Conservancy and Queens Sound. The new edition also contains updates to its comprehensive coverage of the Gulf Islands, the Sunshine Coast and Desolation Sound. The anchorages around Johnstone Strait, Blackfish Sound and Broughton Archipelago have also been updated. Includes best beaches, hiking trails, history and native culture, anchoring tips, flora and wildlife, and much more. An exciting new chapter on Fitz Hugh Sound has been added to the book that will appeal to those wanting to explore north of Cape Caution. Fitz Hugh Sound is becoming one of the most-discussed destinations for boaters of the Pacific Northwest. The reasons are several, including great anchorages, stunning beaches, a truly inspiring range of wildlife including several species of whales, and the serenity and peace that comes with its remoteness. Best Anchorages of the Inside Passage covers over 250 anchorages and contains more than 140 maps; over 500 color photographs and illustrations. 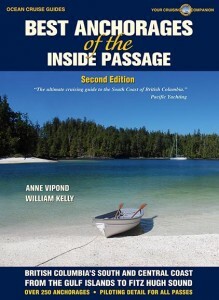 Authors William Kelly and former Pacific Yachting columnist Anne Vipond wrote their book on these anchorages after more than 30 years of cruising the Inside Passage. Their boating travels have extended beyond the Inside Passage to Prince William Sound and Kodiak Island in Alaska.